The Siemens Biograph PET/CT is used to diagnose and stage cancers, and can help monitor the effectiveness of treatment for each patient. PET/CT can also perform perfusion and viability studies of the heart, as well as advanced neuro imaging for disorders of the brain such as Alzheimer’s disease. 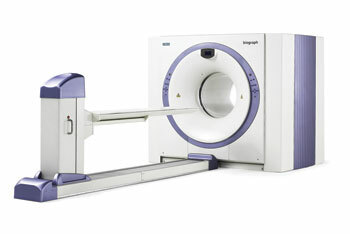 New England PET Imaging System has installed state-of-the-art Siemens Biograph PET/CT scanners at all of our sites. Our Methuen site offers a Siemens Biograph 16-slice PET/CT, while our Lowell site and Mobile service at Elliot Hospital, and Merrimack Valley Hospital each have Siemens Biograph 6-slice PET/CT scanners. We are proud to say that our Biograph 16 located at our Methuen site is the most sophisticated community hospital-based PET/CT scanner north of Boston. 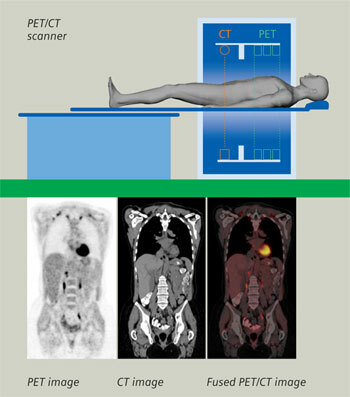 By combining the power of Positron Emission Tomography with the anatomical information of a CT scanner, our PET/CT scanners offer the latest in diagnostic imaging.